I grew up nearby in Campbell and graduated from UNMC College of Pharmacy in 1978. I returned to Hastings after graduation and have been at Bert's for 40 years. 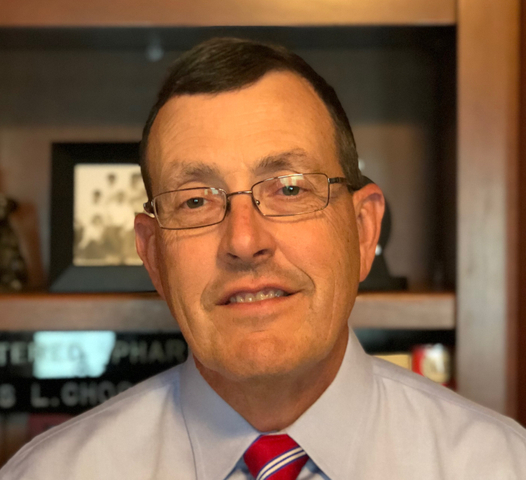 I purchased the pharmacy with business partner Mike Uridil in 1983, and became owner along with my wife, Jalaene, after Mike's retirement in 2014. Our four children grew up as members of the Bert's Pharmacy family. 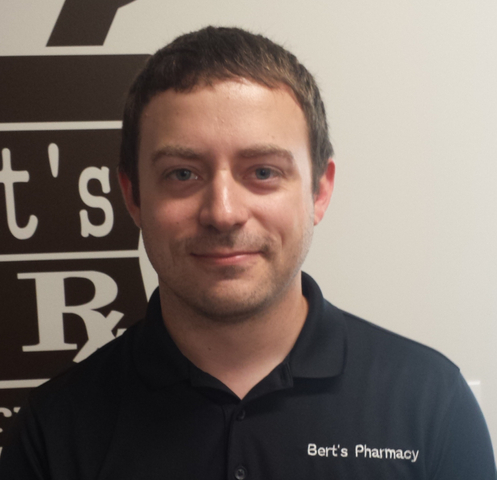 I grew up in Hastings and returned to Bert's after graduating from UNMC College of Pharmacy in 2011. 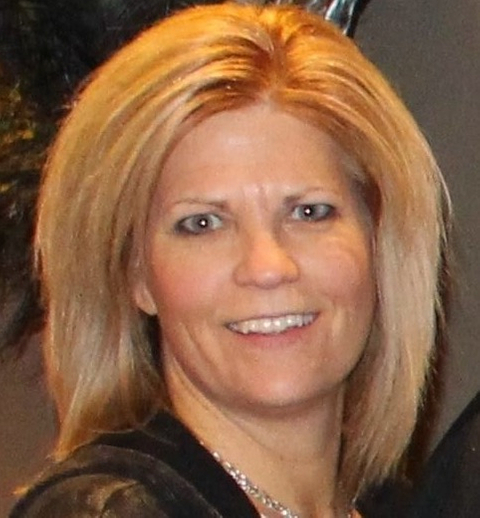 My husband Jed and I have 3 young boys. After growing up in Omaha, I attended Nebraska Wesleyan University. 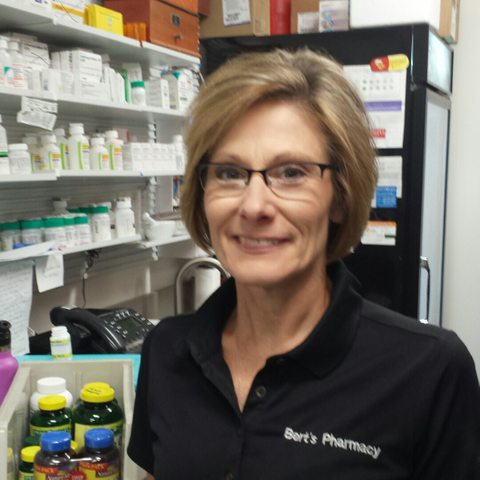 I received my Pharm D from UNMC, and I have worked at Bert's for 18 years. My husband Tim and I have four children. I am a Registered Pharmacist (RPh). I graduated from University of Nebraska Medical Center College of Pharmacy in 2016. I started working at Bert's Pharmacy the week after graduation. I enjoy helping patients sign up for Medicare, MTM (Medication Therapy Management) and administering vaccination. I grew up in rural Iowa but have lived in Nebraska for the past 18 years. 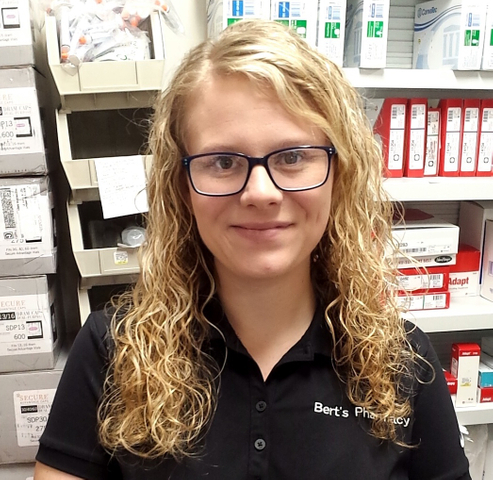 I have been a pharmacy technician at Bert's since 2008. I have two sons and a daughter. I have worked at Bert's since 2011. I previously studied business at CCC. 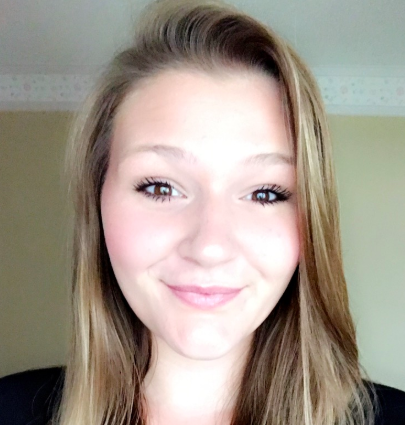 I am a pharmacy technician specializing in nursing home packaging. My husband Alan and I have six children and two granddaughters. I was born and raised in Hastings. After graduating from Hastings College in 2006 and working in the software industry, I returned to Hastings in 2011. I have been employed as a pharmacy technician at Bert's since 2014. My husband Barry and I have 5 year old twins. I grew up in York and graduated from SCC with a business degree. 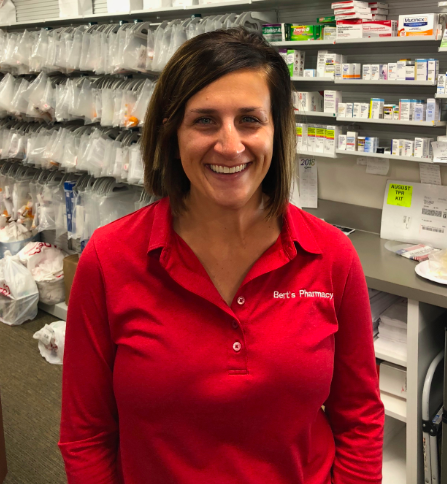 I have worked as a pharmacy technician at Bert's since 2016. My husband Brady and I are expecting our first child in January, 2019. 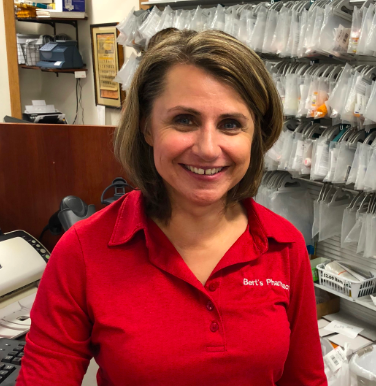 I am a Hastings native and have worked at Bert's Pharmacy since 2014. I am a senior at Hastings College, and I am planning to become a pharmacist. I am a 2018 graduate from Hastings Senior High and just recently started working at Bert's. I will be attending Hastings College this fall and plan to pursue a career in health care.